June 19, Barry took his final journey from this life, into his ever eternal life this morning at 0200 or 2am for our civilian friends.. The angels came and took another angel home! You will truly be missed my friend!! My thoughts and prayers are with those you left behind...may God be with you during this time of loss. 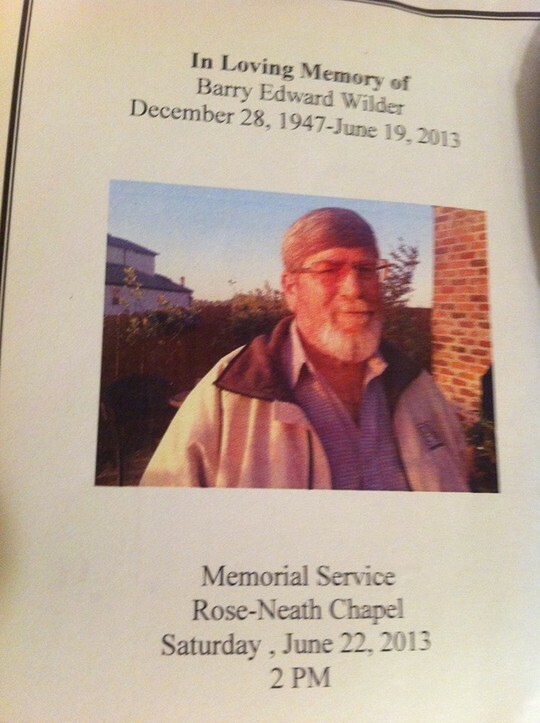 We love and miss you Barry Wilder!! Barry, you are a true friend and will be sadly missed. RIP my friend. Memorial services for Barry Wilder will be held Saturday, June 22, 2013 at 2 p.m. at Rose-Neath Funeral Home Chapel in Minden. 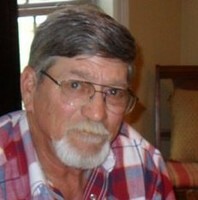 Barry was born December 28, 1947 in Shreveport and entered into rest June 19, 2013 in Minden. He served his country and retired from the United States Air Force and was retired from Preferred Materials Trucking Company as a truck driver. Barry was a member of AA. He is survived by his lifelong partner, Maggie Breedlove of Minden, son John David Wilder of Vacaville, California, sister Sidney Wilder of Ocean Springs, Mississippi, brother Alan Wilder of Rogers, Arkansas, granddaughter Janie Rae Wilder of Vacaville, California, Amy Harris of Shreveport, who took the place of the daughter he never had, Maggie's son Jon Breedlove and his 2 puppy dogs, Petey and Katie Ann. Memorial services for Barry were held Saturday, June 22, 2013 in the chapel of Rose Neath Funeral Home, 211 Murrell Street, Minden, La. 71055. Barry passed away in the early morning hours of Wednesday, June 19, 2013. Thanks to everyone the has called or posted on FB, sent up a prayer, or just called to say "i was thinking about you." The following is a tribute to Barry, with a C-5 aircraft taking off into the heavens. It has been a pleasure and honor knowing you all these years. You were outstanding man and role model. There is a poem out there that states, Its not the year you are born, its not the year you died, but the dash in between. Your dash has been one to be proud of. With having made your lifes final journey on this earth, to that house not built with hands, but ever eternal in the heavens. RIP my friend. I know our paths crossed at Enroute but it has been so many years passed. I was, so, looking forward to visiting with you upon your return from Dallas and reunite a friendship past. But, you are in such a much better place, now, and in a big way I envy you, Your pain is over now and you have no more worry, either. God keep you in his loving arms forever and forever it will last!